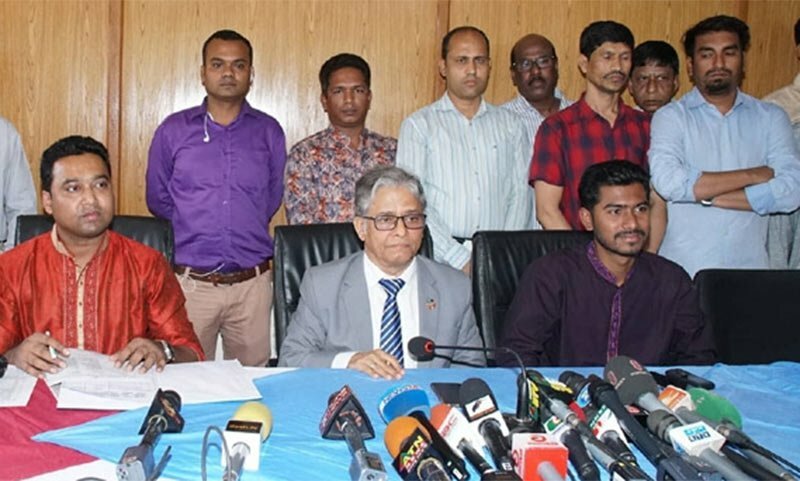 Nurul Haque Nur, who was elected vice-president of Dhaka University Central Students' Union, has taken charge of his post on Saturday, ending week-long different speculations. Dhaka University Central Students' Union became functional after nearly three decades with the first executive meeting of the elected leaders. The meeting started at the DUCSU building around 11:00am with Ducsu President and Dhaka University Vice-chancellor Prof Md Akhtaruzzaman in the chair. Nurul Haq Nur, one of the organisers of recent quota reform protests, was elected Dhaka University Central Students' Union (Ducsu) vice-president in the 11 March's historic election. According to the results announced by DU Vice Chancellor Md Akhtaruzzaman, Nurul Haq Nur bagged 11,062 votes, shocking BCLs’ Rezwanul Haque Chowdhury Shovon in the polls. Bangladesh Chhatra League's Shovon polled 9,129 and the panel’s GS candidate Golam Rabbani got 10,484 while AGS candidate Saddam Hossain for 15,000 votes. Meanwhile, the panel of Chhatra League, a student wing of Bangladesh Awami League, has won all the 13 posts including vice president and general secretary of Haji Muhammad Mohsin Hall unofficially in the election.